JASSTECH make it easy for you to create brilliant, daylight-quality, playing field environments that help the sports stars of tomorrow to shine at night. Our brilliant LED sports lighting technology has been lighting major European soccer stadiums – including in Germany, France, Italy and the Netherlands – since the LED sport lighting revolution began. JASSTECH are Australia’s No 1 LED Sports & Outdoor Lighting Company. We’re proud to be the Australian designer and distributor of the world’s best LED lighting brands. Our Sports and Public Space Luminaires turn night into day with flicker-free performance: delivering brilliant colour rendering; a colour temperature that mimics daylight; with market leading uniformity. JASSTECH also supports and recommends Australian owned pole companies. We can help you find the right Australian pole supplier to deliver your project locally. Playing sports like tennis, cricket and hockey at night requires excellent illumination for players to really ‘see’ the small ball. This is why we have worked with our manufacturers to meet or exceed the AS 2560 Sports Lighting Standard for high intensity sports. The JASSTECH range comprises over 12 different optics that are fully controllable and dimmable via our innovative Wi-Fi remote control system. Having the best luminaires is important to us, but so too is excellent design. JASSTECH delivers the most efficient lighting design for your space. Our team includes MIES accredited staff to ensure your design is done to the highest standard, and compliant with your requirements. Retrofitting suburban sports fields and stadiums is surprisingly quick, easy and cost effective because JASSTECH’s LED Luminaires are designed to replace inefficient metal halide lights while utilising existing infrastructure like poles and cabling. JASSTECH have helped more than 150 Aussie sports clubs and local sporting organisations to make the switch to brilliant LED sports lighting in the past 8-years. 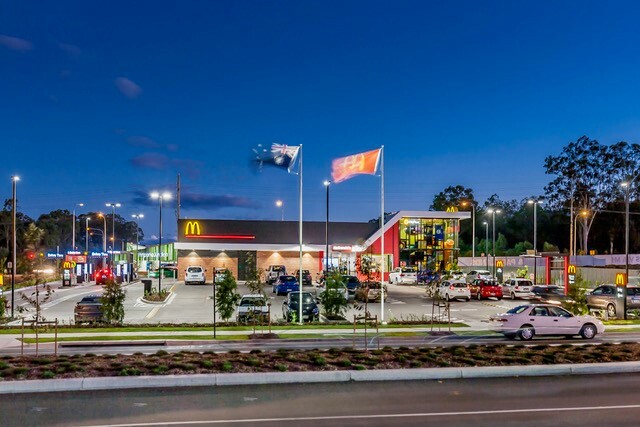 JASSTECH also supply and install the world’s best LED lighting solutions for Outdoor, Architectural and high volume Commercial spaces like McDonald’s.